Written by TakemebackTeam on March 17, 2016 in Newspapers. Over the course of history, newspapers have been at the forefront of delivering information to the general public. Since the invention of the printing press, newspapers became easily accessible to all for little money. As a result of this, newspapers can be used as a window to learn about different opinions of their time. The Daily Express is an example of one of these important historical newspapers. Founded in 1900 by Sir Arthur Pearson, The Daily Express was one of the first newspapers to post news (rather than advertisements) on the first page. The Daily Express was sold to Max Aitken in 1916 after Pearson lost his sight as a result of glaucoma. By 1949, sales of the newspaper had reached four million copies a day. In 1938, The Daily Express was moved to the Black Lubyianka building in Manchester. Aitken became a source of controversy in the 1960s as the British Royal Family believed he had a vendetta against them. The Duke of Edinburgh described The Daily Express as "a bloody awful newspaper. It is full of lies, scandal and imagination.” By 1977, The Daily Express had become a tabloid newspaper to keep up with its competitors and rising demand from the public. The Express also publishes The Sunday Express, Daily Star and Daily Star Sunday. The Daily Express was the first British newspaper to feature a crossword puzzle. Bought by Richard Desmond in 2000, The Daily Express continued to sell reasonably well past the turn of the century. However, it did not do nearly as well as its rival, The Daily Mail. The newspaper has a reputation for printing numerous front page stories about Princess Diana. The printing of conspiracy theories surrounding Diana has been mocked by numerous television shows in Britain, such as Have I Got News For You. The most notable incident of this was on 6 November 2006, most other papers printed about Saddam Hussein’s death sentence, but The Daily Express printed a Diana conspiracy theory instead. In late 2007, The Daily Express gave excessive coverage of the Madeline McCann disappearance. Between 3 August 2007 and 10 November 2007, The Daily Express dedicated 82 front pages to the story. The newspaper was later taken to court over this incident and a front page apology was published for the McCanns on 19 March 2008. 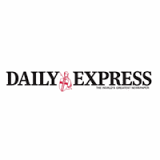 In 2015, The Daily Express showed clear support for The UK Independence Party, despite traditionally supporting the Conservative party in parliament. Visit the UK historical newspaper archive page. Make sure to add a name to the certificate of authenticity along with your chosen date and message if the purchase is a gift.